Street Level Health Project has addressed the symptoms of poverty including unpredictable employment; malnutrition; chronic illness; and homelessness; consistently encountered by low-wage workers in Oakland’s Fruitvale District. 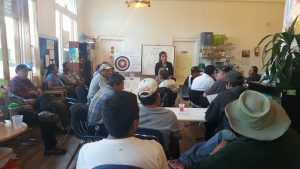 Through an integrated health approach we adapt the Whole Person Care model to support a dual program strategy that targets uninsured, underinsured, Day Laborers and recently arrived immigrants in Alameda County. Our Health Access Program (HAP) prioritizes free health screenings; on-site insurance enrollment; nutrition interventions; critical case management and mental health services. Staff and volunteer providers collaborate to triage patients who are 93% foreign-born with almost half (43%) having resided in the U.S. for less than three years. In 2015 alone, we provided 398 unduplicated patients medical services and hosted over 769 clinic visits. Additionally, since the majority of HAP clients (80%) are adult males between the ages of 25-61 (60%), we correlate income security as a protective health factor and support low-wage workers through our Immigrant Rights and Empowerment Program (IRE). Since 2012, the IRE program has promoted an integrated service approach that combats the root cause of malnutrition through our Oakland Workers’ Collective (OWC). 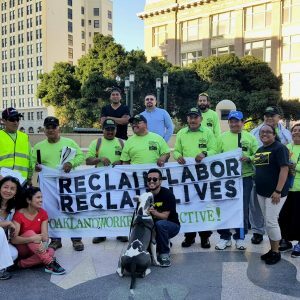 The OWC, better known to workers as “La Colectiva”, is an established worker collective that creates pathways to safe and dignified employment for contingent workers at risk of exploitation and wage theft. Our model incorporates vocational training, employment linkage, wage advocacy, and civic engagement activities to empower workers and reduce health risks associated with unemployment and underemployment. Our clients are comprised of an isolated fragment of the immigrant community that often spends up to a week standing on a street corner waiting for work. 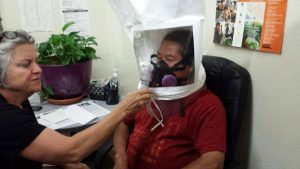 As one of the few organizations targeting Day Laborers in Oakland our innovative outreach model pairs community health workers and employment specialists to engage disconnected workers in addressing social determinants of health. Our program’s effectiveness over the last 14 years is rooted in providing holistic supports that address the overall wellness of our individual members. The model pays attention to basic needs, professional development and a popular education approach to civic engagement. Political advocacy that supports long-term, systems-changes, such as enforcing the minimum wage standards, promoting immigration reform, increasing access to California driver’s licenses, and informing progressive policy change that promotes wellness and security for day laborers and low wage workers.